Visual Studio Code>Other>Jira FrontendNew to Visual Studio Code? Get it now. Extension for all things Jira Frontend. 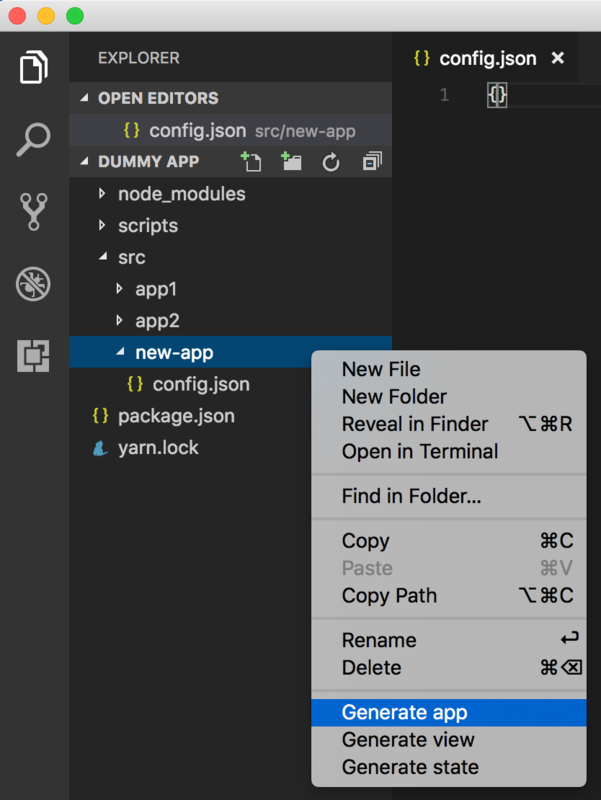 Right click the folder where you want to generate your new app, component, or reducer. Click on the menu item that corresponds to what you want to do: "Generate app", "Generate view", or "Generate state". The terminal will come up with prompts you need to fill in about your new app, component, or reducer - after which your new app, component, or state will be generated.